The 1848 Winery have launched their Grand Reserve 2013 to celebrate the 170th year of the family making wine. The wine is a blend of 61% Cabernet Sauvignon, 18% Petite Sirah, 11% Merlot, and 10% Cabernet Franc. The fruit comes from Galilee vineyards. The separate components of the blend were aged individually in small French oak barrels for 12 months (30% new oak) and then the final blend was aged for a further 18 months (60% new oak.) The launch was at the Setai Hotel in Jaffa. The Shor family founded their winery in the Old City of Jerusalem in 1848. Generation after generation they have made wine. The owner of 1848 Winery is Yossi Shor, who is the 8th generation making wine in his family. He founded this winery with the sole purpose of making quality table wines. 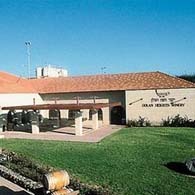 Most of the other Shor wineries (and there are five in all owned by different members of the same family), still make inexpensive wines, Kiddush wine and grape juice. 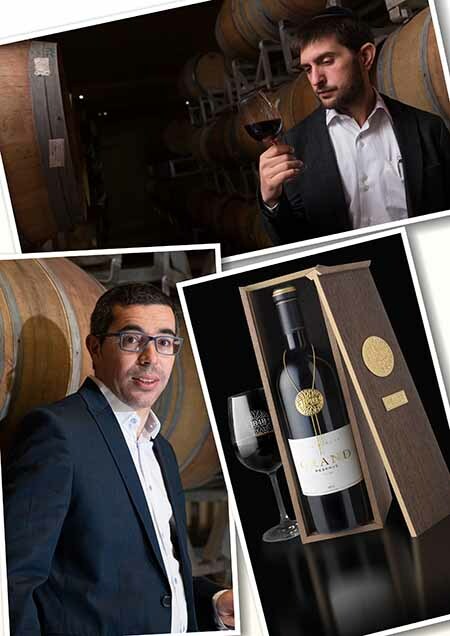 The winemaker of 1848 Winery is the French born Ilan Assouline, who graduated from Bordeaux. He has worked for the winery since 2011 and is a talented winemaker. The 1848 Winery wines, which are only sold in wine shops and restaurants, range from 60 shekels (the ‘Second Generation’) to 250 shekels for the Special Reserve. The 1848 Winery Grand Reserve will retail for a massive 848 shekels! This apparently is a purposefully high price to match the year the Shor family first started making wine. The wine itself is deep red, with rich, velvety fruit, with a smooth texture and a refreshing twist on the finish. Is it a very good wine? Yes, no doubt. Is it worth 848 shekels? (Remember, Yarden Katzrin 2014 is 450 shekels). The answer is No. 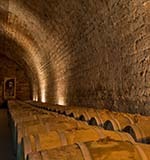 However as only 1,400 bottles were produced, it is likely to be popular with collectors.